In September 1988 an article written by Joanna MacDonald about a performance by the Vancouver Symphony Orchestra appeared in The Vancouver Sun. 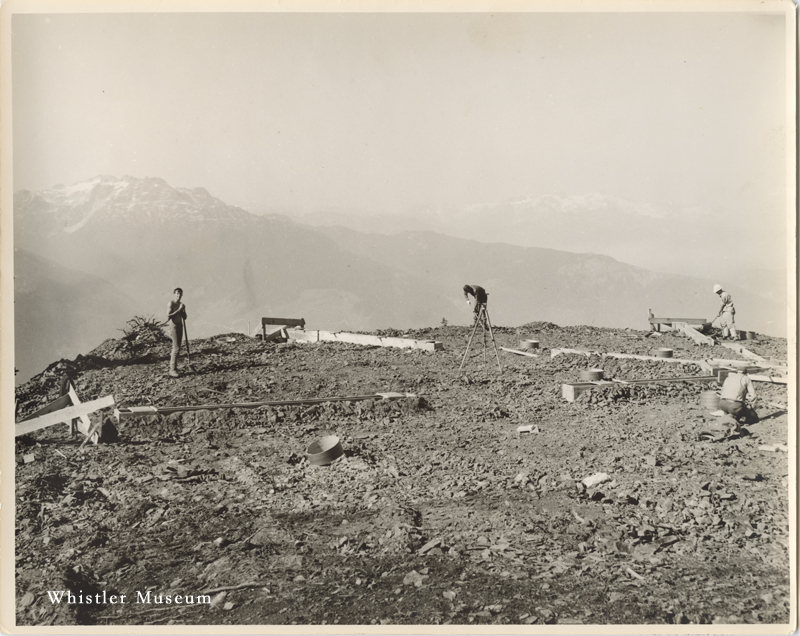 This might not seem noteworthy or appear to have anything to do with Whistler’s history except that the concert written about took place 1850m above sea level on Blackcomb Mountain. This was not a typical concert for the VSO, nor was it a typical year. From January to July of 1988 the organization’s growing deficit had halted VSO performances. In July, after creditors had forgiven the deficit and financial assistance was acquired by the symphony, the VSO began a series of outdoor concerts. Their summer performances included concerts at Ambleside, English Bay and Granville Island, but none of these required transporting a $500,000 sound system, a 14-tonne stage and two tonnes of instruments up a mountain. While the first performance on Blackcomb took place in the heat of summer, the VSO also played in the rain some years. Whistler Question Collection. The weather made the stage on Blackcomb Mountain an interesting venue to perform on. The VSO had though about the implications of wind and low temperatures, but didn’t expect 32 degree heat at the top of the mountain. While the musicians were under cover and didn’t get too hot (despite wearing formal dress) audience members were encouraged to bring hats and sun screens. Concertgoers on the mountain sat on hay spread around a 1.4-hectare site within an alpine meadow, a ver different arrangement than the Orpheum Theatre, the VSO’s usual venue. According to Nancy Spooner, a VSO spokesman, “One family had the full red and white checkered tablecloth and a wine bucket with glasses. There were families with grandparents and kids, and people were wearing everything from bathing suits to hiking gear. Some people even brought up some mountain bikes and went riding before the concert.” 5,238 people were recorded as attending the performance. A mountaintop performance on Whistler, 1995. Whistler Question Collection. The VSO continued to perform annually on top of the mountain, first on Blackcomb Mountain and then switching to Whistler Mountain. 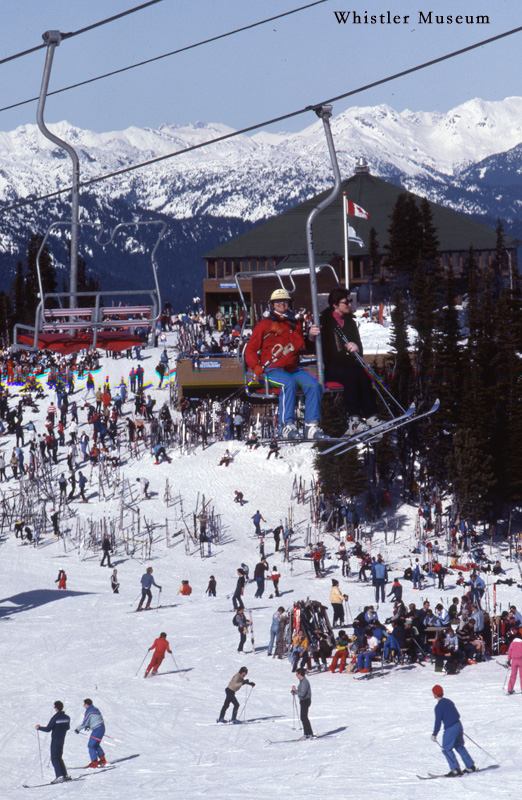 In 1998 their concert on Whistler was postponed as the mountain was closed for the summer due to the construction of the new Roundhouse Lodge. This postponement lasted fourteen years. In 2012, after an absence of over a decade, the VSO returned to perform in Whistler. Instead of the top of a mountain, performances took place in Olympic Plaza over a weekend in late July. In 2014 the VSO began performances on Canada Day and announced the creation of the Vancouver Symphony Orchestral Institute at Whistler, both of which have continued each summer. Unlike the first performance in 1988, today’s VSO performances in Whistler are not held in an alpine meadow and the audience does not pay to attend. In other ways, however, the concerts are still very similar. The VSO still attracts of crowd of thousands and a mix of visitors and residents. Groups still bring picnics, families attend with kids and grandparents, people wear bathing suits and hiking gear, and quite a few people look like they just got off their bikes. What is “round” about the Roundhouse Lodge? Have you ever sat at the Roundhouse Lodge and — while munching a delicious burger — asked yourself why this light-flooded but pretty square-cut, mid-mountain venue is called “Round”-house? 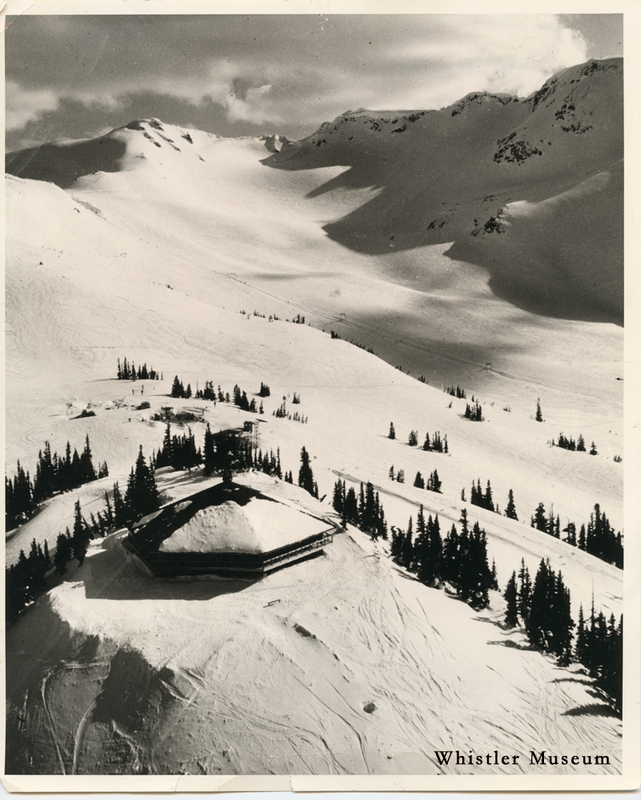 Here is the answer to the brain-twister: Today’s Roundhouse Lodge had a much smaller, flying saucer-shaped precursor that perched atop Whistler Mountain just across from where the Valley View Room is located today. 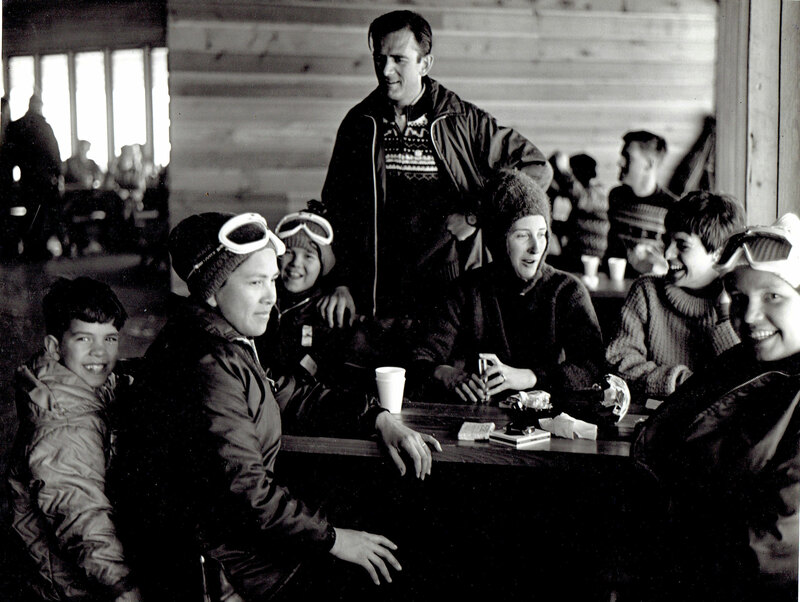 When Whistler Mountain opened in January 1966 there was no cafeteria. In the first season, hot drinks, soup and sandwiches were served off a picnic table using a Coleman camp stove in the so-called Red Shack at the top of the Red Chair. The original Roundhouse was built in the summer of 1966 and opened in the following winter. It was a copy of a building in California and was designed as a warming hut with a huge fireplace in the middle where the skiers warmed their feet. No food or washrooms were in the design for the original building. Back then, Skiers couldn’t use inside toilets, only outhouses on the hill below the Roundhouse. 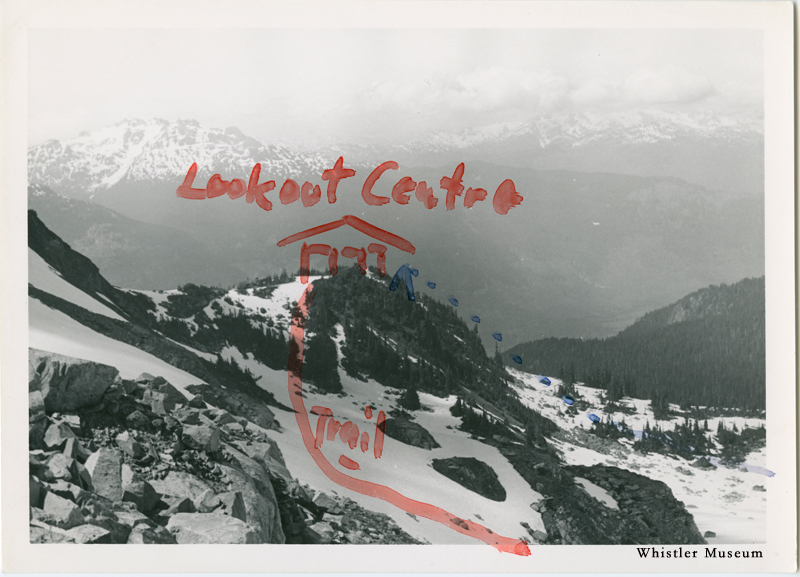 John Hetherington, president of the Whistler Museum and ski patroller in the late 1960s, remembers that part of their job was to shovel out and clean the outhouses. “Ugly job” he says. The ironic truth is: They built the Roundhouse on a large rocky knob that wooed them with a magnificent all-round view but then left them high and dry. They couldn’t find any water on that knoll. Two hydraulic engineering companies were engaged to study the area – without any success. They were so desperate that they brought up a professional water dowser from Vancouver Island. Hugh Smythe, a teenage ski patroller at that time who went on to become the CEO of Blackcomb Mountain and all of Intrawest, remembers actually being with the dowser when he located the water which was one year after the original Roundhouse was built. “We found a number of locations but the best was just below where the Peak2Peak terminal is now” he recalls. The dowser wandered around for a while. Just beside the Roundhouse his willow stick bent down like crazy, and he declared that there was running water about 30 feet below. The next spring they brought up a company with a water drilling rig. And guess what? They really found water. Relieved, a pump was sunk that brought up enough running water for the kitchen and the toilets of the Roundhouse. In the following years, there were constant renovations done on the building. When first built, the Roundhouse stood on posts with the wind blowing freely beneath the building, making it almost impossible to heat. One of the major alterations was digging out and enclosing a lower floor. Indoor toilets were installed. The fireplace was removed to make room for a kitchen. They wired the place for electricity, and installed a large diesel generator in the basement which was stolen during a later winter in the 1970s, remembers John. Finally, in 1998 the original Roundhouse was replaced by the new palatial building. Though, the original Roundhouse hasn’t disappeared entirely. Pieces of it became part of the wall of fame in today’s Roundhouse.